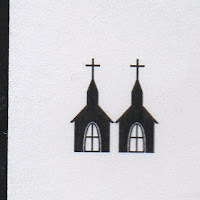 Movie Churches: Science Fiction Month Week #1: Codgers in Space! Science Fiction Month Week #1: Codgers in Space! Though you might not know it from listening to some militant atheists (or some isolated Christians), science and religion are not enemies. Many scientists believe in God. They manage to reconcile their faith with knowledge and believe science reinforces their faith. For instance, the epitome of Scientific Adventurer is the astronaut. Many are committed Christians. Jeffrey Williams, a commander of the International Space Station, talks of proof of God in space, “You see God in all the details.” Apollo 15 astronaut James Irwin claims his experience on the moon led him to become serious about his faith in Christ. And John Glenn was an elder in his Presbyterian Church. 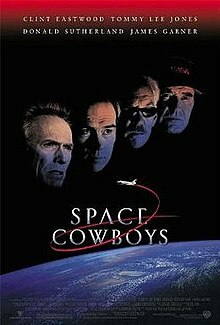 These examples of Christian astronauts in the real world lead one to hope that the astronaut pastor of Clint Eastwood’s sci-fi adventure, Space Cowboys, might be a compelling character; an advocate of both knowledge and faith. 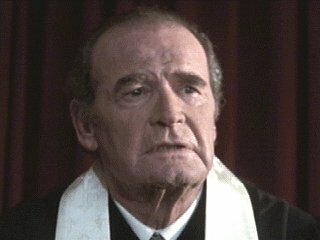 Those hopes are quickly dashed by the first appearance of James Garner's’ Rev. “Tank” Sullivan. 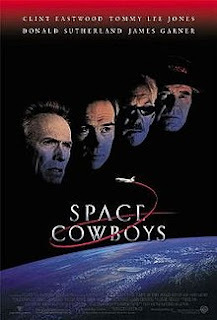 Space Cowboys is the story of aging astronauts who never had a chance to go into space. When the orbit of a Russian satellite begins to deteriorate, the elders are the only ones who know the technology that can fix things, and the repair can only be done onsite. Clint Eastwood plays Frank Corvin, who assembles his old team for the mission. He goes to see Tank on a Sunday morning as he preaches to his American Baptist congregation. Garner, as Tank, begins his sermon, “Romans… I mean Chronicles. Chronicles. Ah, yes. In the 40th year, Amariah begat Zadok…Who begat Libni...The brother of Uzziah. No, that’s not it either. Just… No, uh…” He then fumbles with his notes, drops them, and as he reaches to pick them up, gazes at a Hawaiian hula dancer doll he has on a shelf behind his pulpit. Frank asks him not to pray long. Tank immediately replies, “I’m receiving a word. Why the hell not?” He doesn’t seem to take the discipline of prayer very seriously. He doesn’t take prayer very seriously when asked to pray at the beginning of their mission either. He says he’s going to recite the Shepherd Prayer. Spoiler: it’s not Psalm 23. He quotes Alan Shepard, “Oh, Lord, please don’t let us screw up.” Many lives are at stake on this mission, but he merely prays not to be embarrassed. But as an astronaut, Tank performs his mission well. He seems to be a good astronaut in spite of being a lousy pastor. You can glorify God in almost any kind of work, but it doesn’t seem that Tank was called to be a pastor. He could have perhaps brought God more glory working with NASA or becoming a high school science teacher, or doing any other job that used his skills and experience. 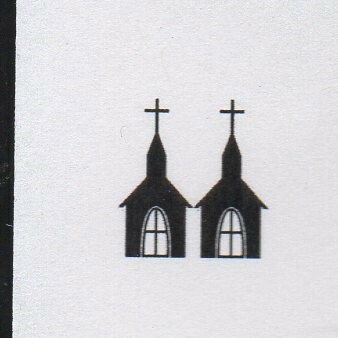 That’s why the Reverend Tank earns only two Movie Church Steeples.